In layman’s terms, it’s a camping company for the jeans and t-shirt crowd who seek a more relaxed definition of adventure. With a confidently classic style, the brand is kicking out “simple, good looking, well designed gear,” as the company puts it. Fun and affordable products is the intention, though without ignoring aesthetics. We tried a couple items and found them indeed to be remarkably practical regardless of what the styles says. Take the Napsack as example. 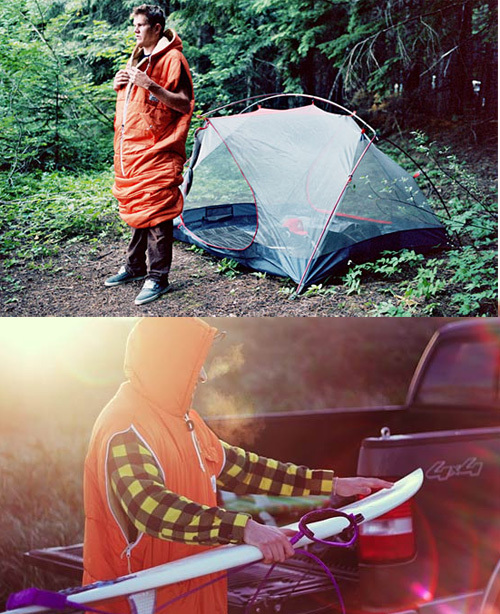 The vintage-looking sleeping bag has a hood and zippers that open for your arms. A drawstring on the bottom opens to allow you to stand and walk around. No more having to crawl from your bag early in the morning, just unzip, untie and off you go! The Napsack is available in a kid’s model or for adults. It’s rated to about 50F degrees for warmth, and it costs $130. We think it’s slightly genius. The brand’s Magic Tarpit is another combination of good ideas. At $25, it’s billed as “half tarp, half space blanket, half magic,” meaning it’s essentially a waterproof tarp lined with a heat-reflective material. It has a hood and hand-hold pockets for wrapping yourself up inside. 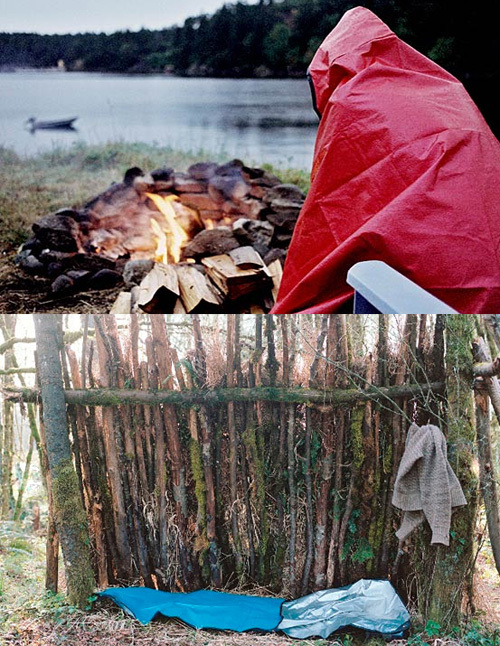 The multi-use wonder has grommeted corners as well to let you lash it down for making a primitive shelter. We think the back-to-basics, low-tech done right approach is a good one. Among the camping-for-the-fun-of-it brands, Poler seems to have its finger on the pulse. Oh, and if you need some inspiration, be sure to view a few of the slideshows on the “adventures” tab of the Poler site.